Fed up of how perfect SL can look? 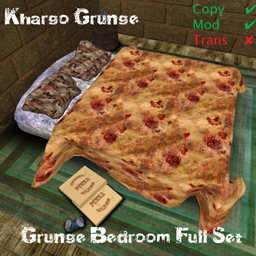 We got the solution for you! 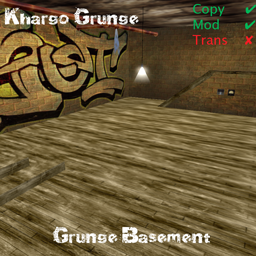 Khargo Grunge specialises in the sort of furniture you'd find in a garage, basement or just some grungey back alley. 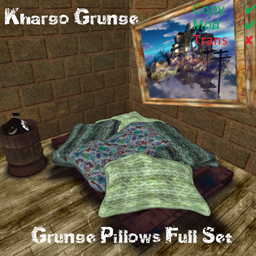 along with some fun accessories and a glorious fatpack of all the grunge goodies - basement and all! 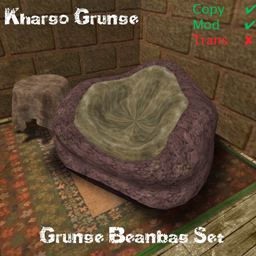 To celebrate the opening of Khargo Grunge we are giving away our awesome Grunge Stool in store. 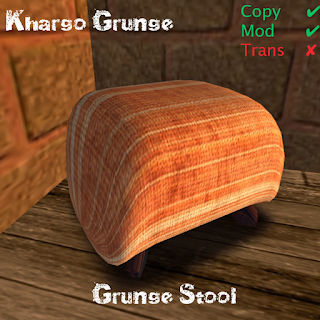 The stool is made with the same top quality sculpties, scripts, poses and textures as all our items in the new Grunge range. 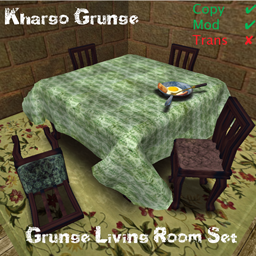 It has 7 poses and a whole load of textures to choose from. 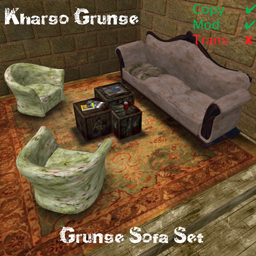 Khargo Grunge sets are also available on XStreet.